An article on Facebook cover page,app and promotional guidelines. It’s been close to 15 days since Facebook announced about its timeline feature for brands and the cool features it launched along with it. By now many Indian brands have adopted the new timeline but there are loads of brands that are still waiting to upgrade. However, if you are not informed then let me share with you that by the end of this month, if you don’t do it yourself it would happen automatically by Facebook. The new set of release also brings quite a few rules and regulations with it that hold true for business pages with timeline. The new set of rules, especially for the Cover Page are a must to be noted and will work in tandem with the Promotional and Application guidelines. So if you really don’t want Facebook to be nasty with your hard work, then check out the three important rules for the cover page. 1. No Price or Purchase Information: Your cover page is the creative side of your brand so avoid displaying your products and services with its price tag. It is good to show your products but avoid the cheap listing of prices and discounts available on them. 2. No Contact information: The cover page is also not a place to show your email id/phone number or any sort of your contact details. For that you have the about section provided by Facebook so list them there. 3. No reference to Facebook features: Since the concept of landing page is now obsolete, you must be thinking how do I show fans about my contests, etc. To do that, list your apps in the front row of the apps section but avoid making pointers in the cover page to highlight them. 4. And no call to action: A statement that would not go well with lot of marketers but then Facebook is all about socializing with friends. So lets make sure we respect that, stop displaying such phrases as “Get It Now”, “Tell Your Friends”, etc. Hope so you will keep these simple guidelines in mind and treat the cover page as a creative display rather than an online advertisement board. As said earlier these are additional set of guideline, so for the entire list click here. Let me take this opportunity and share some of the promotional and app guidelines that are frequently not followed by lot of Indian brands. This will help you to avoid the common mistakes that are being made either knowingly or unknowingly. 1. Avoiding Apps for contests: Any kind of promotion shouldn’t be conducted on the wall and it should be done on third party apps or create a tab for the contest. 2. Communication on the wall: You can’t use the wall for declaring results of a promotion or asking fans to contact you for any queries regarding a contest. All communication should happen on the contest tab or app. Bookadda is another Facebook page that does this pretty often as was raised by one of its fan. Mydala is ignoring both point 1 and 2 blindly as we had highlighted earlier. 1. Hiding Display Of Content: Even if the user provides access to post content on her timeline, the app should still ask for permission and show the content that will be posted. A common problem that we notice regularly and to list some of them are Tata Capital Holi app, Ford Figo 2Birhtday app, etc. Hopefully brands will stick to guidelines and avoid the common mistakes committed by other brands. On the other hand, we will also highlight the amazing cover pages brands are creating and also highlight the ones who are ignoring them as we have done in the past with promotional guidelines. How Have Indian Brands Adopted The New Facebook Brand Page? 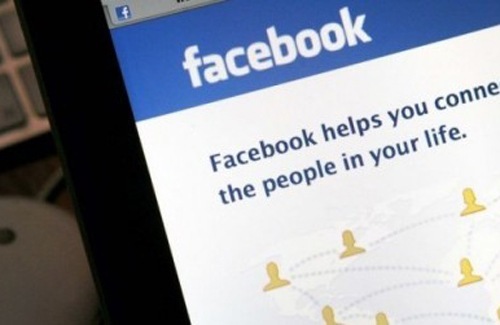 Facebook Relaxes Promotional Guidelines: What Are They, How Useful, Challenges And Why Now?